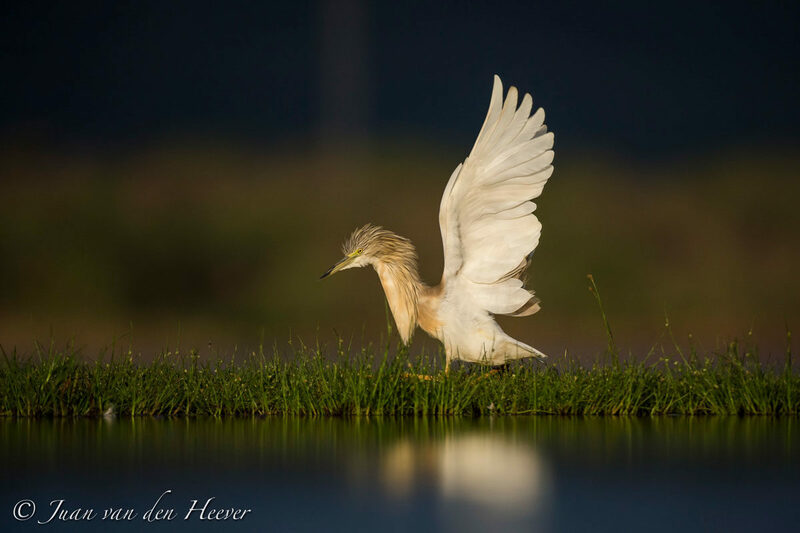 Juan van den Heever has gone out photographing with his father ever since he was a little boy and, to this day, his love for birding remains inspiring, which is why turned to him for pro bird photography tips. If your main objective is to photograph birds, it’s important to know a little bit about the area you’re travelling to beforehand. 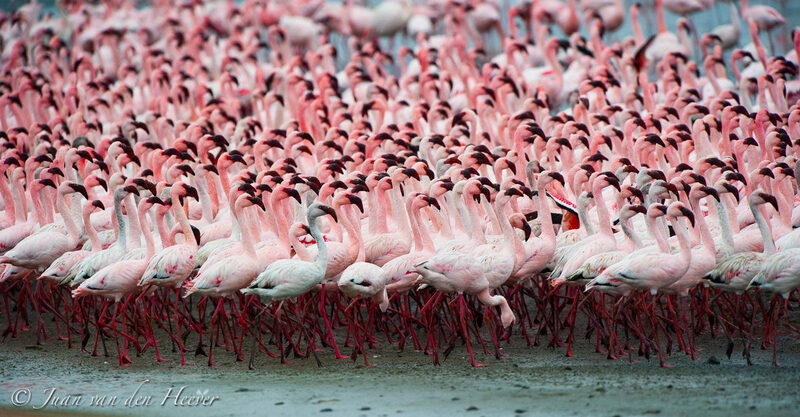 Knowing where birds congregate, like a water hole or roosting site, is a key aspect of keeping your camera busy. Many books and social media groups have been specially created to aid those looking for birds. 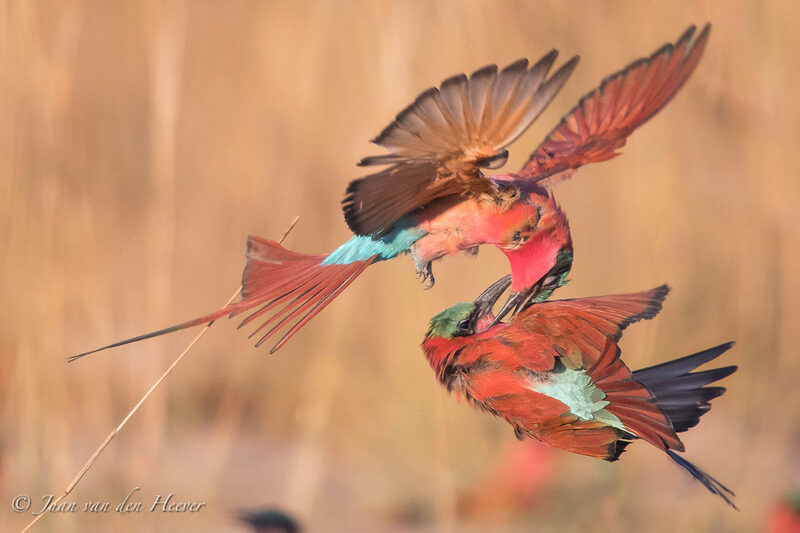 Birds have certain unique behavioural aspects that if observed and interpreted correctly can lead to some amazing photographs! 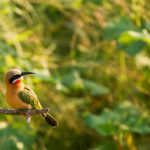 Bee Eaters, for example, often return to the exact spot they took off from and some larger birds move around and make a dropping just before taking off. One of the most important and rewarding ways to find birds is by listening for their calls! Learning bird calls immediately gives you a huge advantage over someone who only looks for birds using sight. Because you know the call, you’ll know what bird it is and whether you would like to go after and photograph it. Learning the calls can be a tedious and somewhat difficult task to undertake at the start, but I can’t emphasise the importance and benefits of this skill when you’re out in the field! Birds aren’t exactly drawn towards strange sounds like talking, sneezing, laughter and music. Stay quiet and remember that birds are vigilant and very attentive to loud, unfamiliar sounds. If a bird sees you sitting very close to a perch you want it to land on, chances are, it won’t fly in and sit right in front of you. By using camouflage, or sitting in a hide, a bird won’t see you as a direct threat, therefore increasing the chances of the bird getting closer to you. Using a LensCoat helps break up the shape of a large lens and is thus a good investment. Birds can be really stubborn sometimes! An eagle that looks like it’s been waiting to fly for the past 10 minutes might just decide to fall asleep instead. That can become very frustrating. 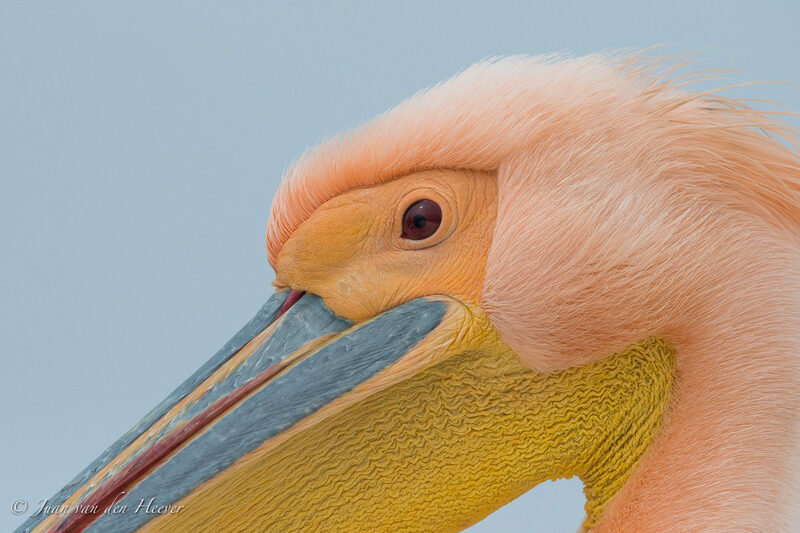 When it comes to photographing birds you need to have a lot of patience! About an hour or two before and after sunrise is known as the dawn chorus. During this time, birds are at their most active; singing, foraging for food or sunbathing to heat up. Use this time to examine their activities and shoot. 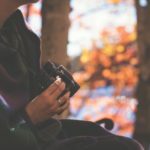 Which would you say works better: a “gigantic and unpredictable” human with a camera in hand; or a stationary camera that is hidden away (taking photos using a Pocket Wizard, Camtraption or any other off-camera release system)? 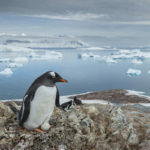 By setting up your camera in a place birds frequently visit, like a waterhole, feeder or even an area they walk on frequently (like penguin “highways” carved out of the snow) you can produce some amazing close-up shots. The bird’s safety, longevity and wellbeing should be far more important than one or two photos. Don’t over-use calls; especially not in breeding season or when you’re close to a nest. Don’t get too close, disturb or touch an active nest. And NEVER throw stones to make a bird fly. The bird comes first, your photo comes second. 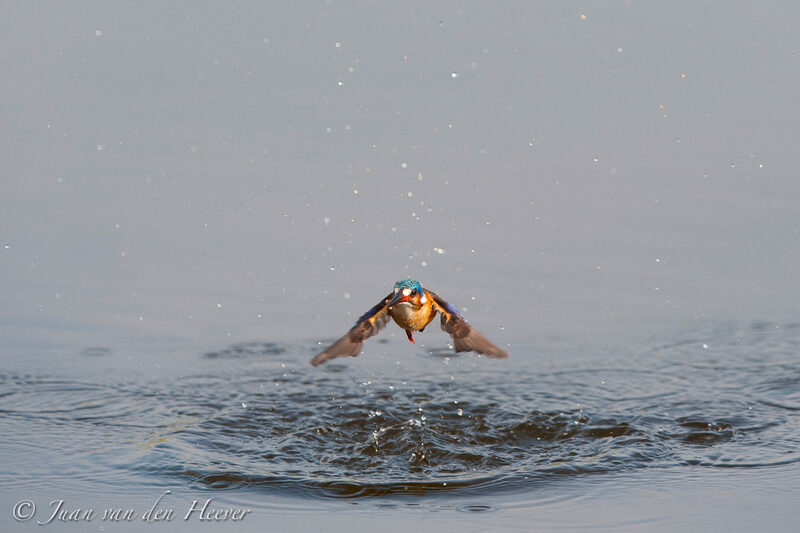 A fast shutter speed will help you perfectly freeze the wings of a bird flying or the water droplets of a Kingfisher diving into water. 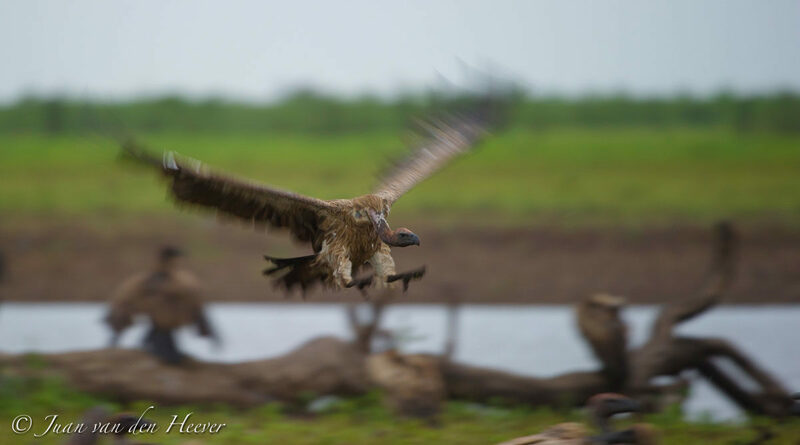 Some advice: if you’re looking to further improve your shutter speed, increase your ISO or lower your aperture value. Nikon D850, D800, D5 and D4 cameras. For photos that take in more of the scene: Nikon 14-24mm f/2.8 and the Nikon 24-70mm f/2.8 VR. A versatile Nikon 70-200mm f/2.8 VR III. Long telephoto Nikon 180-400mm f/4 FL VR, Nikon 300mm f/4 PF VR, Nikon 400mm f/2.8 FL VR II and Nikon 600mm f/4 FL VR II for zoning in on the birds. 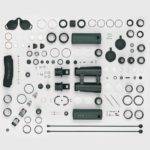 Gimpro clamps and gimbal heads, Badger door brackets & bean bag, Wimberley lens plates & LensCoat accessories. 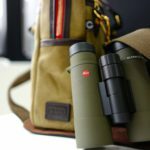 Your article provide good info for bird photographers, but your average photog simply can’t afford even ¼ of the equipment that you work with. Not everybody is a millionaire and with an array of equipment that you have listed, bird or any other photography becomes so much easier. Yes the basics stays the same, but equipment make a huge difference especially for aspirant bird photographers.